Please visit the Lost World of Old Europe Exhibition Website for complete information, images of items in the exhibition, a full public programming schedule (lectures, film series, musical performances) and more! The Lost World of Old Europe brings to the United States for the first time more than 160 objects recovered by archaeologists from the graves, towns, and villages of Old Europe, a cycle of related cultures that achieved a precocious peak of sophistication and creativity in what is now southeastern Europe between 5000 and 4000 BC, and then mysteriously collapsed by 3500 BC. Long before Egypt or Mesopotamia rose to an equivalent level of achievement, Old Europe was among the most sophisticated places that humans inhabited. Some of its towns grew to city-like sizes. Potters developed striking designs, and the ubiquitous goddess figurines found in houses and shrines have triggered intense debates about women’s roles in Old European society. Old European copper-smiths were, in their day, the most advanced metal artisans in the world. Their intense interest in acquiring copper, gold, Aegean shells, and other rare valuables created networks of negotiation that reached surprisingly far, permitting some of their chiefs to be buried with pounds of gold and copper in funerals without parallel in the Near East or Egypt at the time. The exhibition, arranged through loan agreements with 20 museums in three countries (Romania, The Republic of Bulgaria and the Republic of Moldova), brings the exuberant art, enigmatic goddess cults, and precocious metal ornaments and weapons of Old Europe to American audiences. Brill's new open access policy. What do you make of this? Heather conceded my win at When on Google Earth 77, which was really only a guess on my part, but I guessed right and that seemed to be enough. (Though I still can't find the exact spot on Google Earth). 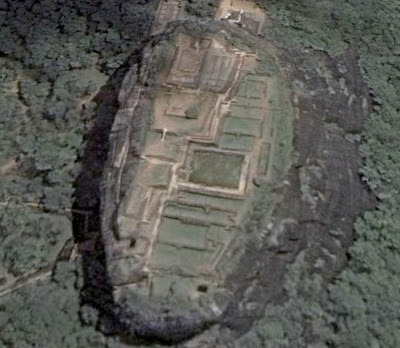 Moving on to When on Google Earth 78, where and when in the world is this? If you can identify this site and its main period of occupation, then post your comment below. Follow WOGE on the Facebook group.